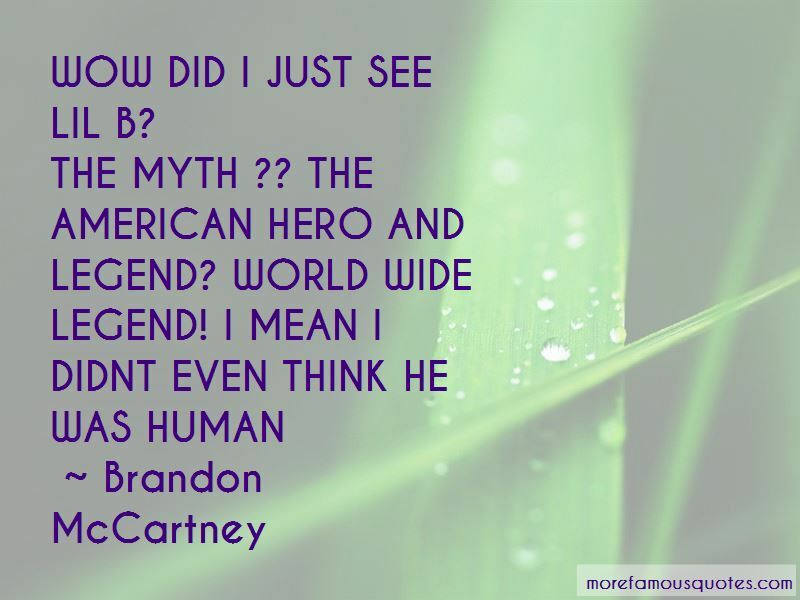 Enjoy the top 8 famous quotes, sayings and quotations by Brandon McCartney. BASED is how you feel inside. Teach me about some taxes. Why didn't nobody teach me about taxes on TV? Why don't nobody teach us about none of that man? What's going on? Why don't people teach us about getting together? Be yourself one hundred and one thousand percent. Everybody man, from the sides to the back to the middle to the sides, you might not even know people, but if you rock with Lil B music and respect me from the core, you should know that based means you have someone you can trust, because we all have a common courtesy. It's about having empathy now. What I mean is really caring and paying attention to somebody else's feeling. You gotta have empathy and know we all on this common vibe. It's all peace. It's saying, hey, you know what, you can hit me and I'm not hitting you back. And that takes a very big person to do that. 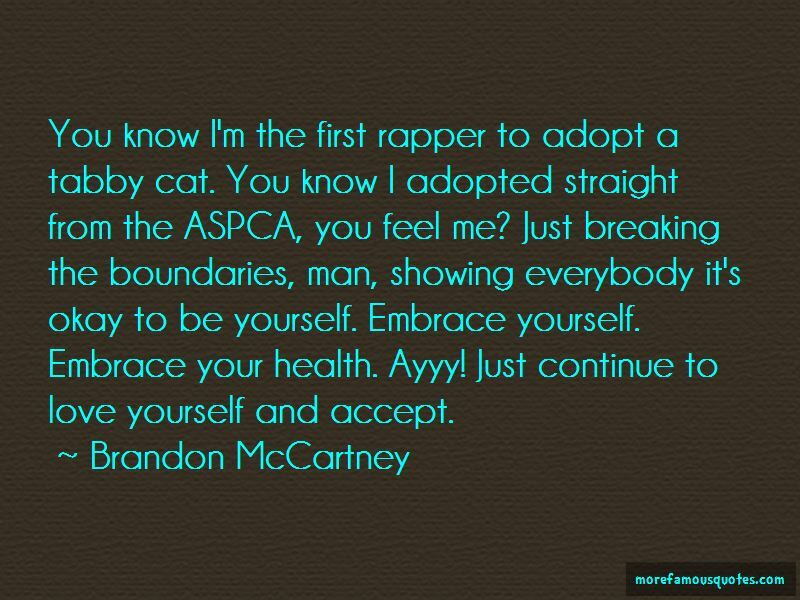 Want to see more pictures of Brandon McCartney quotes? 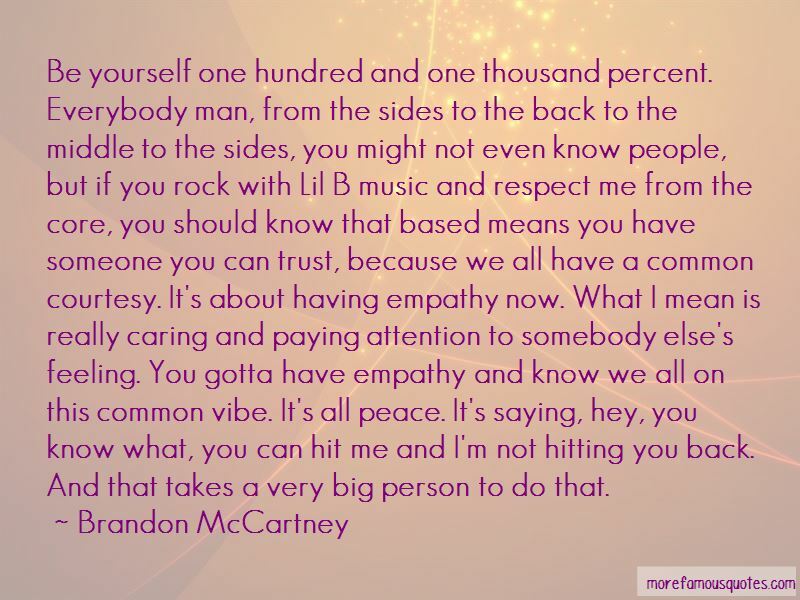 Click on image of Brandon McCartney quotes to view full size.